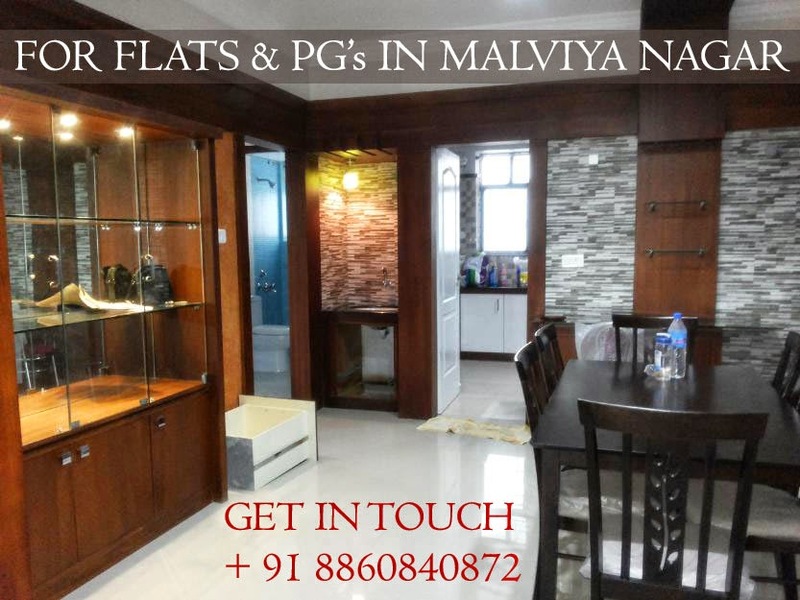 Apartments for rent in Malviya nagar are available with us at reasonable monthly rentals. We are among the renowned property dealers in Malviya Nagar based in South Delhi. We deal in residential and commercial properties in Malviya Nagar and parts of South Delhi. We have a wide network of furnished / non furnished apartments available with us which are located in prime locations of Malviya nagar. Majority of the apartments available with us are near by metro stations of Malviya nagar, Saket, Shivalik And Hauz rani. We also provide flats on sharing basis as well, like 1 bhk apartment, 2 bhk or 3 bhk apartments in Malviya nagar. In case you don't have a big pocket, relax.. we have plenty of options available with us starting from 6k per month. These low budget apartments are located in khirki extension, a place located near Select city walk. We have a dream home for everyone, we also have lot many clients visiting us from different countries like, Hong Kong, Thailand, Canada, etc. especially students, we generally provide them, fully furnished apartments for short duration like 3 months, 5 months, etc.